The 8-9-8 is simply an outstanding cigar! I actually prefer them over the Lusitania (which is an excellent cigar when you have 2 hours to enjoy.) The construction is excellent. They certainly benefit from some "humidor time" but it proves difficult to let them sit. I recently purchased a box of these cigars. I have to be honest, I wasn't very impressed by them. They look excellent in the 8-9-8 box but as a smoker appearance is secondary. I found the draw very tight, but the flavours are excellent. Hopefully with a bit of time these cigars will vastly improve. I love this cigar. 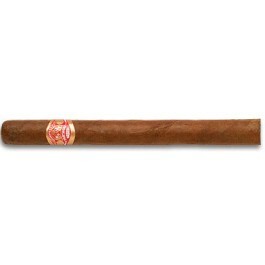 It is a shorter version of one of my favorites, the Partagas Lusitania. It should disappoint no one.